Educators have the increasingly difficult task of preparing students to live, learn, and work in the 21st century. Amidst those challenges, a growing body of research suggests that college and career readiness depends upon students’ ability to think critically, learn how to learn, communicate, and collaborate. The No Child Left Behind (NCLB) era of accountability prioritized basic literacy and numeracy above all other knowledge and skills. For better or for worse, cut score proficiency defined by standardized testing has operated as the North Star of education policy since the turn of the millennium. 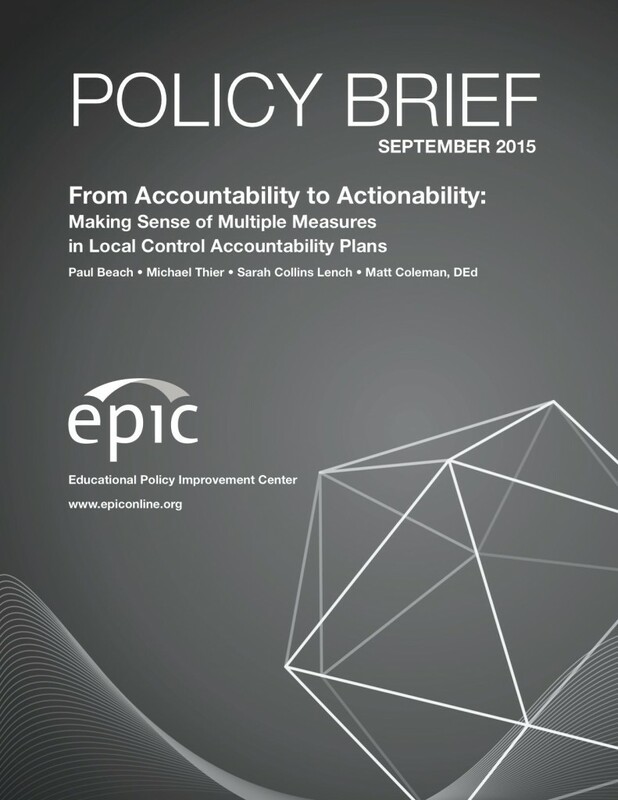 Yet federal and state accountability systems are undergoing a massive sea change, marked by new and more rigorous standards and assessments, shifting roles and responsibilities for district and state education agencies, and a growing recognition that school quality is composed of inputs, processes, and outcomes beyond a single score on a single assessment. Recent legislation in California created the Local Control Funding Formula, replacing a 50-year-old system of state-controlled categorical funding by returning considerable financial control to local hands. Such funding flexibility brings both opportunity and challenge in the form of Local Control Accountability Plans (LCAPs). LCAPs require districts to detail how they plan to spend funds and measure progress for all students toward eight state priorities. Scrambling to meet those eight potentially competing priorities might leave many districts feeling as if they are adrift, particularly those districts that have become heavily acculturated to understanding success through test scores alone. 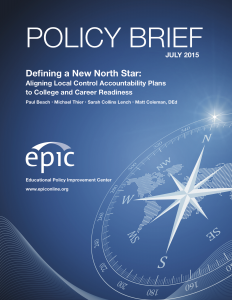 In the LCAP model, traditional cut scores account for only one subcomponent of one priority. Much like early mariners who used the North Star to navigate unfamiliar waters, California educators need a beacon to guide policy and practice. They need to adopt and align to a strategic direction, vision, and plan. 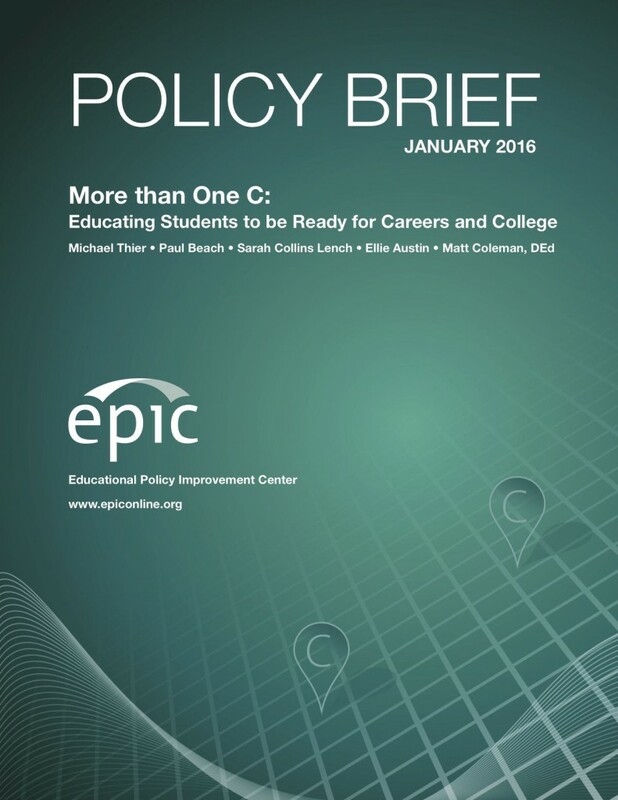 In this policy brief, we recommend that district leaders align their LCAPs to a definition of college and career readiness that guides educator decisions in order to facilitate system coherence.